The annual Phakisa 200, which will see over 50 cars taking to the Free State circuit, is the next race on the calendar for the autoBarn SuperHatch competitors. The 200km long race, which sees the autObarn SuperHatch and Car Care Clinic 111 Sports & Saloons drivers sharing the track, takes place on Saturday, 15 September. Many of the drivers will be sharing their cars with other drivers and one of the more interesting combinations is that of normally fierce rivals Brett Garland and Jonathan du Toit. The pair, who have shared all but one of the Class A wins between them this season, will be hard to beat around the 4.24km circuit in Garland’s autObarn/Total Honda Civic. 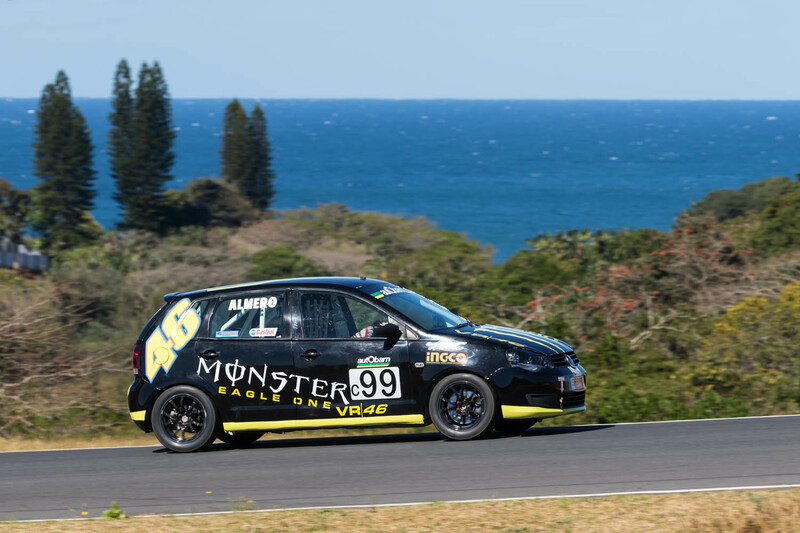 Andre Dannhauser (Pro Auto Rubber/Jetstik Opel Corsa), who lies second in the Class A championship standings, has teamed up with Tyler Scott to tackle the event and will be looking to repeat the good form he has shown in previous years at this event. 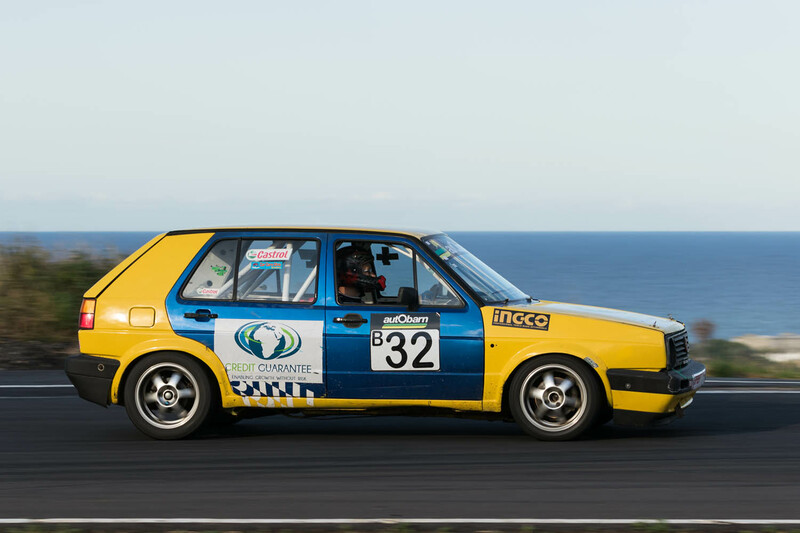 Nic Martin will be sharing his Rex Diff & Gearbox Opel Kadett with Morne Human while Chris Davison has enlisted the help of VW Challenge regular, Stuart Mack, to share the driving duties. Another one to watch will be Sandro Godinho, who is making the step up to Class A in his Bidvest Panalpina Logistics VW Golf. Things are tight at the top of the Class B championship standings, Zane van Zyl (Credit Guarantee VW Golf) has a two-point advantage over Louis Scholtz (Car Care Clinic Honda Civic). The pair also lead the overall autObarn SuperHatch standings. They have both elected to drive the entire 200km on their own and it will be interesting to see whether Scholtz can eliminate the gap between them. Mel Spurr (G& H Transport/Wealth Avenue/Castrol VW Polo) will be out to consolidate her hold on the third spot in the class B standings although Shane Forget (4J’s Auto Opel Cub), who took his first podium finish last time out at Dezzi, has hopes of spoiling her plans. The recently married Alex Marques (Ace Auto VW Polo) should also be in the mix. Raais Asmal (Volkswagen Motorsport Polo) suffered mechanical problems at the start of the second race at Dezzi, spoiling his chances of an overall win after he won the opening heat. He will be out to get another win at Phakisa. In Class C, the fight at the top of the log is between stablemates Almero van Eck (Nossler VW Golf) and Reno van Heerden (KWC VW Polo). The pair are separated by six points with Robert Stoltz (Episerve/Jestick/Lopec Opel Kadett) a further ten points back. Craig Priestley has teamed up with regular class B competitor Trevor Stringer in the Tactical Fluid Ford Laser and they could challenge for a Class C podium finish although they will have to fight off Tony Hyams and Juan van der Walt in the Building Code Consultants Ford Fiesta. Qualifying for the Phakisa 200 gets underway at 12h50 on Saturday, with the race starting at 16h00. Entry to the circuit for spectators is free of charge.